Subway art for the cowboy. 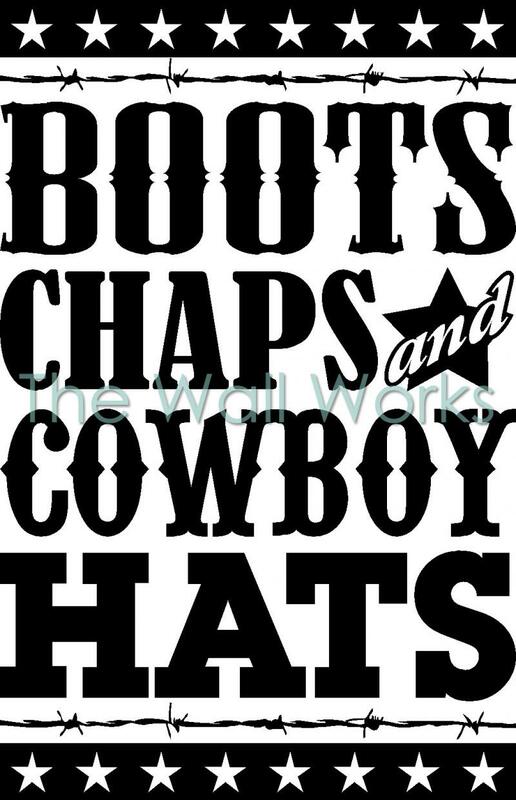 This is a great decal that says "Boots Chaps and Cowboy Hats". You can get it in any color and size. It will be great to accent the walls of any home. Boots Chaps and Cowboy Hats Subway Art was added to your cart successfully!